The film Burned that is making the rounds in NS and elsewhere is NOT about forest bioenergy facilities for which most of the feedstocks are genuine wood processing wastes. It’s about forest bioenergy facilities for which most of the feedstocks are from clearcuts and are wreaking havoc upon forest biodiversity and forests’ storage of carbon. What’s the case in Nova Scotia? In a response to a recent letter from a Nova Scotian expressing concern about trees being cut to feed forest bioenergy facilities, L&F Minister Rankin borrowed a line from the Feds (“Most forest biomass being used for bioenergy in Canada is produced from waste or residues from manufacturing processes”). The biomass industry claims that biomass is sourced from waste wood, that is not commercially valuable, but the evidence on the ground has proven otherwise. As a long time rural resident, I see and hear what has been happening, 24/7 for years. As rural residents, we are on the front lines of this industry. Most of the material used in the province in cogeneration facilities such as the Nova Scotia Power plant in Port Hawkesbury and the Emera plant in Brooklyn is waste product from sawmills and paper mills in the form of bark, sawdust, etc., with only a small amount coming directly from forestry operations. Read the extended correspondence below. If genuine wood processing wastes make up most (95%+) or all of feedstocks for a forest bioenergy facility, the process is carbon neutral or very close to it, and therefore results in a net reduction in CO2 (carbon dioxide) emissions compared to using fossil fuels. 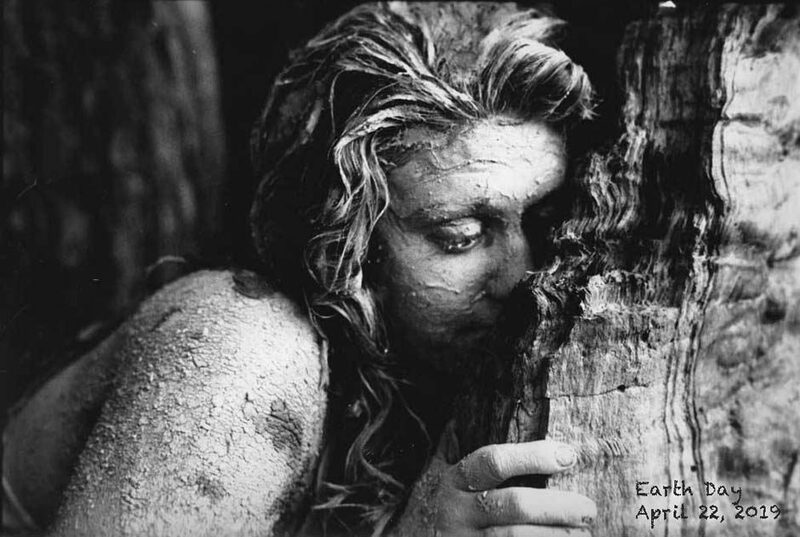 * The reason or argument: if those same residues, consisting of very fine particles, are left to rot, they rot quickly (e.g. within a year), releasing the same amount of CO2 over a short period as released by burning. More or less, the same is true if branches, needles etc removed in full tree harvests (but not the trunks) are used for bioenergy. However, because of our poor soils, there are productivity losses if these materials are not left on site, so whole-tree harvesting is eschewed in Nova Scotia (if not banned; that’s still seems to be hazy). It’s a quite different matter when stemwood (boles, trunks) and “waste wood” (stemwood not suitable for milling, snags etc) are used as feedstocks, especially if they come from clearcuts. If 40 year old stemwood is burned for biomass, it will take at least 40 years for the carbon dioxide released on burning to be taken up by a new generation of trees – so there is at least a 40 year recovery period. 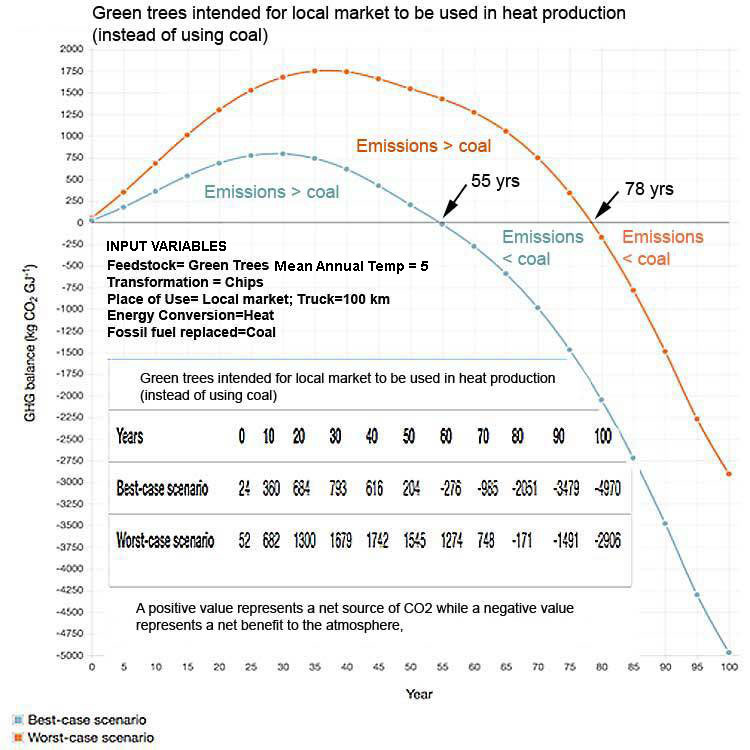 (Another factor: it takes more carbon in trees to produce a unit of energy than carbon in coal; another: increased losses of soil carbon following clearcutting; another: reduced productivity following clearcutting on our depleted soils). When the stemwood is from thinnings rather than clearcuts, the effects on CO2 emissions are much less and the process may even approach carbon neutrality because of reduced or no losses of soil organic matter and because of the increased growth of the remaining trees. In general, the larger diameter of a piece of wood, the longer it takes to decompose and release it’s carbon. So, while millimeter size debris such as that in wood processing wastes decomposes quickly, a 10″ snag left in the field might remain standing for 10 more years and once fallen and require an additional 40+ years to fully decompose and release its carbon, versus instantaneous release when it is burned in a bioenergy facility. Sample output from the Feds’ GHG calculator. View Natural Resources Canada GHG Calculator confirms Nova Scotia forest bioenergy schemes are worse than coal (Post, Jan 3, 2017). The “time to parity” is the number of years after initiating a forest bioenergy project that GHG emissions would be higher than if a specified fossil had been used. Much longer periods to achieve “carbon parity” than those shown above are involved when comparisons are made to oil and natural gas, and when the bioenergy is used to generate electricity (not just heat). Over time, use of stemwood and waste wood may be carbon-neutral, depending on site conditions etc; the problem is the time-frame. We do not have 50+ years to lower our carbon emissions! Canada is already way off track on our 2030 commitments and the IPCC is warning that “we have 12 years to limit climate change catastrophe“. There’s much more involved in “carbon accounting” for bioenergy, but the point should be clear: there is a huge difference between using genuine processing wastes for bioenergy, and using primary forest biomass (stemwood) & “waste wood”. I wish I could accept Minister Rankin’s assurance that “Most of the material used in the province in cogeneration facilities …is waste product from sawmills and paper mills in the form of bark, sawdust, etc., with only a small amount coming directly from forestry operations”, but there is reason to be skeptical, as cited by the letter writer. “The must-run status of the Point Tupper plant drove a demand for biomass that suppliers struggled to fill. In 2014, the plant’s first full operative year, 10 percent of the 530,000 metric tonnes of biomass burned was shipped in from outside of the province. “In 2010, Nova Scotia Power said the plant would exclusively use “stem wood,” leaving tree stumps, tops and branches behind to restore nutrients to soil. But since then, DNR has admitted that private contractors are clear-cutting forests—cutting and chipping whole trees en masse—to feed the plant. “With 84% of area cuts being burnt via the Biomass Burner (73%) or Firewood (11%), PHP, NSP, NSDNR and even FSC are doing their part to increase GHG emissions while calling the practices “sustainable”. Firewood – clean energy or not? “The Department of Natural Resources estimates that as much as 444,000 cubic metres is used as a household energy source on an annual basis in Nova Scotia” (Registry of Buyers Annual 2018 Report). 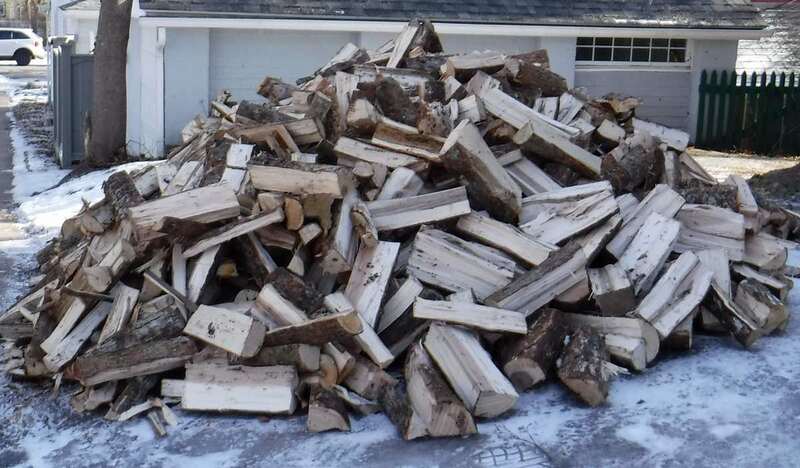 While such use is not subsidized as “renewable energy” many consumers use wood heat at least in part because they believe it reduces GHG emissions. That may be true when it comes from thinnings, but is unlikely when it comes from clearcuts. As taxpayers or ratepayers who subsidize this ‘renewable energy‘, surely we are entitled to such accounting. It should include, for example, at least annual reporting of all feedstocks by category and source (suppliers and amounts identified by region, amount paid), details of plant operation (efficiency, output), emissions data as collected by NSE; and LCAs (Life Cycle Assessments) and periodic update of LCAs. “Trust Us” and Good Intentions are simply not good enough in this day and age and given the critical importance of reducing GHG emissions within the next 12 years. It’s likely that most of the pertinent data are already being collected by company accountants paying attention to the bottom lines. As well, L&F could task their new carbon modeller to do a comprehensive and transparent analysis of changes in forest carbon stocks (Land Use Changes)* associated with each forest bioenergy facility and chip/pellet export operation. It would be good to know what’s going on with firewood as well. If proper accounting cannot be presented and/or if the carbon neutrality cannot be confirmed by such accounting, then clearly forest bioenergy should be removed from the renewable energy category, for Nova Scotia at least. Unfortunately the Feds and many other governments in other countries (notably Europe) use much the same double-speak as they do in NS to ensure that the science of climate change doesn’t interfere with Industrial Forestry’s quest to find alternatives to pulp and paper for low grade wood; or with the Europeans’ and others’ (including Canada’s) claims that they are meeting international commitments to lower GHG emissions. *See Box “Is it better to use salvaged wood for bioenergy or to let it decompose in the forest?” under Forest Bioenergy; Also refer to the Natural Resources Canada GHG Calculator and related Post on NSFN. Perhaps it is true in most of Canada that most of the feedstocks for forest bioenergy facilities are genuine processing wastes. Perhaps. But there is very good reason to question this refrain for Nova Scotia. That’s the concern, not use of genuine processing wastes. 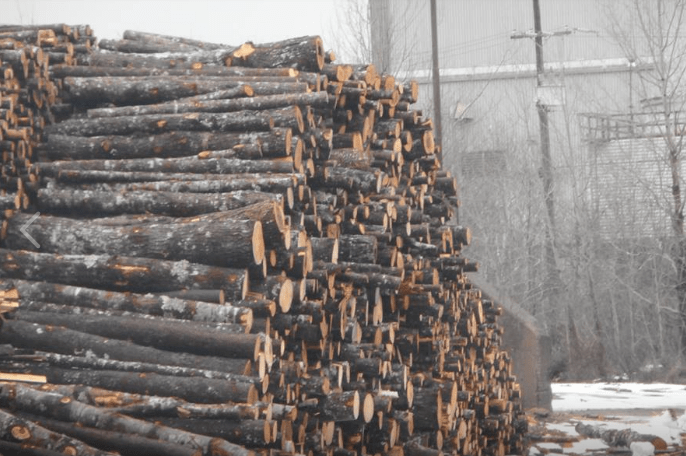 Because of the decline in markets for “low value wood”, notably pulp and paper, the forest industry at large in North America is desperate to ensure continuance of the markets for low quality wood that make clearcutting & Industrial Forestry profitable. Hence it’s a very slippery slope to go from burning only genuine processing wastes to burning primary forest biomass. All of which calls for a lot more transparency and consultation by L&F not only on the current use of forest biomass but also on the discussions apparently going on to replace falling pulp and paper markets with other biomass products. The concept that forest bioenergy based on feedstocks other than genuine processing wastes reduce GHG emissions has been challenged repeatedly in higher level scientific literature for over 10 years, largely to no avail in practical terms. That may be about to change as the EU is dragged to court for backing forest biomass as ‘renewable energy’ (www.euractiv.com, Mar 4, 2019). Undoubtedly, that will put the GHG accounting for forest biomass under intense legal scrutiny. ‘Hope NS Lands and Forestry and NS Mines and Energy are keeping a tab on that one. I have been following this issue for a long time and I recently viewed the documentary film, Burned, about the biomass industry. I stress that all of you need to see this film. Biomass is based on the deliberate accounting error by the industry, of not counting the greenhouse gas emissions coming from the biomass stacks, but only counting the emissions from harvesting and transport. This flawed accounting launched the biomass boom in the first place. What I insist on seeing, first of all, is that forest biomass be removed from the list of approved generation sources in the Renewable Electricity Regulations. The whole thing is being driven by the bad policy that considers biomass renewable and carbon neutral, which is not the case. This leads to lowering subsidies for wind and solar technologies that would genuinely lower emissions. Secondly, the carbon emissions released by biomass needs to be counted. Biomass emits 40 – 60% more carbon dioxide per megawatt hour than burning coal. When wood is burned to produce electricity, it’s only 20 –25% efficient. 75% of the energy is being discarded. Biomass is the most expensive form of electricity on our power bills. Nova Scotians are subsidizing forest biomass burning through higher electricity bills, 12% higher than wind energy. 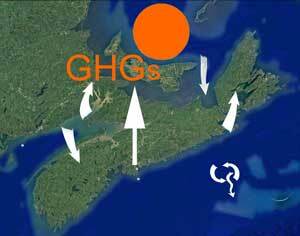 Thirdly, exports of forest biomass from Nova Scotia must be banned. This export market is based on biomass as a carbon free energy source, which it certainly is not. Fourthly, the recommendations in the Lahey Report must be acted on. In 2016, 86% of crown and private land has been clear cut and more crown land was cut than in any other year since 1990. Our lakes, rivers and streams are being negatively effected, as well as our forest soil, by the biomass industry. Our Nova Scotian Acadian forest soil cannot sustain this abuse. I am concerned about our wildlife and ever growing list of endangered species. Unless there is change, Nova Scotia’s natural resources will continue to be destroyed. As a voter, with a provincial election being held, perhaps as early as this spring, I will be following closely the views of all the politicians concerning the biomass industry in Nova Scotia. I am looking forward to hearing your views and solutions to these problems. As Minister of Lands and Forestry, the Premier has asked that I respond to your concerns regarding biomass industry. The department produces annual Registry of Buyers reports showing the acquisition of primary forest products, including imports and exports (http://novascotia.ca/natr/forestry/registry/ann_report.asp). The table “Provincial Harvest by Primary Forest Product and Species Type’ at the top of page 2 in the Registry of Buyers Reports for calendar 2017 lists total quantities (all land ownerships) for ‘Energy Wood’ which is defined on page 38 as primary wood to be used in a facility designed to produce energy and includes wood destined for cogeneration facilities. The total amount of ‘Energy Wood’ in 2017 was 78,779 m3 or just 2.4 percent of the total harvest in Nova Scotia. These totals include wood used within the province and exported. This table also shows that the majority of the wood harvested in the province is studwood/sawlogs used by sawmills. Most of the material used in the province in cogeneration facilities such as the Nova Scotia Power plant in Port Hawkesbury and the Emera plant in Brooklyn is waste product from sawmills and paper mills in the form of bark, sawdust, etc., with only a small amount coming directly from forestry operations. The emphasis during forest operations on Crown lands is to produce the highest value products from the trees harvested for which there is a viable market, such as softwood and hardwood sawlogs and softwood studwood. On December 3, 2018, I announced our government’s response to Professor Lahey’s Independent Review of Forest Practices in Nova Scotia. The key to Professor Lahey’s report is the adoption of a new paradigm – ecological forestry. After careful consideration of all of the recommendations, we have identified priority actions that are foundational to achieve ecological forestry in Nova Scotia and I encourage you to read our response which can be found at https://novascotia.ca/natr/forestry/Forest_Review/. Using the triad model, Crown land will be managed with a greater emphasis on ecological considerations which will result in changes on the ground, including less clearcutting. Thank you for your interest in our province’s forests. This entry was posted in Biomass, clearcuts, Show Us the Science. Bookmark the permalink.